About 30 years ago, Alena Spirina, being a very young, but already inquisitive cook, mastered the preparation of a cake called Drunk Cherry in Chocolate. Today Alena will repeat for an encore! The recipe was taken from the festive table by L. M. Lemkul. I note that most of the recipes in this book are quite ambiguous, many had to be thought out and done according to their own understanding. But this cake, even in my interpretation, turned out very tasty and even exquisite and therefore enjoyed great success. For its preparation, it was necessary to bake a high biscuit and remove the crumb from it. Then cooked custard with cocoa added, which was whipped with butter, mixed with cherries, soaked in cognac in advance, and with biscuit crumbs. This cream-biscuit mass filled a box of biscuit, which was filled with icing. Recently, sorting out a bookshelf, I stumbled upon the “Festive Table”, remembered this cake and decided to cook it, but already rethinking “from the height of past years”. Regular sponge cake was replaced by chocolate, to replace the oily butter cream came more light and tasty. And instead of the traditional round baking dish, I used a rectangular cake pan. 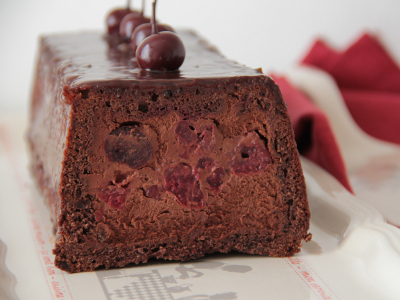 Three days before serving, you need to pour brandy cherries so that it gets quite “drunk” in the filling. Frozen fits perfectly, and if you have a summer harvesting — cherry in rum, and without pits, it’s time to remember about it. But even if the cherry is pitted, use the liquid from the jar to soak the frozen cherries, as well as to soak the sponge cake. Cherry to shift into a colander and defrost. Transfer to a jar, pour brandy and leave at room temperature for at least a day, and preferably for 2-3 days. On the day of baking, grease the form with butter, sprinkle with flour, shake off the excess. Heat the oven to 175-180 C.
Sift together the flour and cocoa. In the bowl of the mixer, mix the butter with the powder, beat at low speed, just to combine. Increase the speed to medium and beat, several times removing the dough from the walls of the bowl, about 4 minutes. Add yolks one at a time. When the mixture is light and airy, transfer to another bowl. Wash and wipe dry the mixer bowl. Prepare the French meringue: beat the whites with a mixer, operating at medium speed, until large bubbles form. Increase the speed of the mixer and, gradually pouring sugar, beat the whites to strong peaks. Silicone spatula to mix part of the meringue into the oil mixture, so that it becomes easier. Stir in the rest of the meringue. Add flour with cocoa, acting gently, but quickly, trying not to mix the dough. 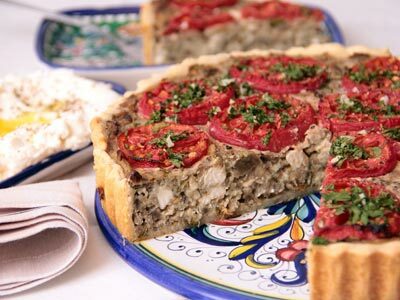 Put the dough into a mold and bake for 45-60 minutes or until the dough becomes evenly brown and elastic when pressed. In the center of the biscuit will rise and may burst. Turn the sponge on the grid, remove the form, put on its side and cool for at least 4 hours. Cut off the hunchback top of the sponge cake, you won’t need it. Using a knife, cut a layer about 1 cm thick from the biscuit. Set aside. Cut the crumb of the biscuit so that the sides are about 1 cm thick and the bottom of the same thickness. Remove the pulp by helping yourself with a small knife or tablespoon. The result is a box and a lid to it. Return the box to the form in which the biscuit was baked. 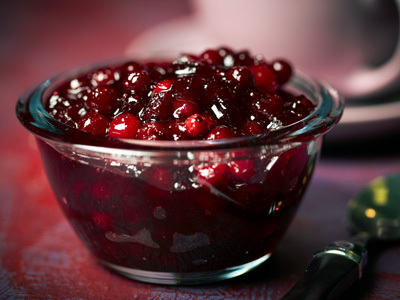 Moisten the bottom and sides with cherry syrup or cherry brandy. «Drunk» cherry recline in a colander. Mix cold cream with a mixer. Leave at room temperature for 15-20 minutes. Chop or chop the chocolate with a knife and melt on the steam bath. Beat cream with a mixer, pour in hot chocolate. Continue whisking for 2-3 minutes at high speed. Mix the cherries in the cream and fill the biscuit box with the filling. Close with a delayed lid, press down with a plate and refrigerate for a couple of hours. Soak gelatin in cold water. In a scoop, mix the water with the sugar and boil so that the sugar is completely dissolved. Add pressed gelatin and warm. Separately melt chocolate and cream on the steam bath. Stir with a silicone spatula to make the chocolate smooth and shiny. Add gelatin syrup, mix thoroughly again. Set the grid above the tray. Take the sponge cake out of the fridge, turn it over onto the wire rack and remove the mold. Smear the top and sides with jam and pour over the icing. Put the drunk cherry cake in the refrigerator before serving. As a result of manipulations with the biscuit, there remains a whole, albeit crooked, layer of biscuit and a full bowl of crumbs of various sizes. They can be brought to the same size, put into a plastic bag and frozen, so that at the right moment you can cook for pudding suddenly coming to the guests. If manipulations with the cure of the crumb seem to you too time-consuming, do it easier: cut the sponge cake into three cakes, soak them in cherry syrup, brush with cream and cherry and pour over the glaze or decorate at your discretion. Excellent cake, albeit not so spectacular! “I am an activist of seasonal cuisine, according to the precise definition of a Moscow gastropub. 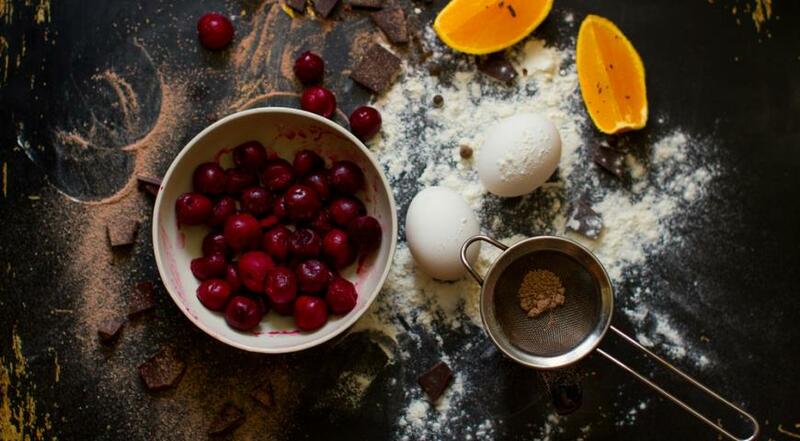 Everything that appears in my kitchen is prepared quickly, simply and according to the season. Even my book “52 Cakes” is divided into chapters by seasons. 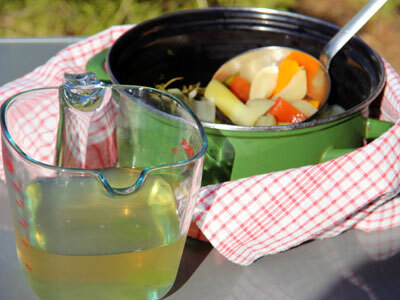 And I also like to follow the path of simplifying the preparation technology, “cut corners” without harming the taste. This is possible if one imagines what is happening with the products, understanding — or trying to understand — the chemistry and physics of processes. And then you really want to share your discoveries and discoveries with friends and colleagues. 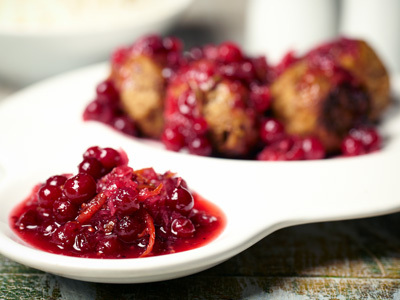 Alena Spirina advises to immediately cook cranberry jam, then to cook on its basis cranberry sauce, which is ideally combined with meat dishes. My acquaintance with the culinary phenomenon called «vegetable broth» occurred at a time when no one had heard about the Internet ..
On the basis of cranberry jam in a few minutes you can make an excellent sauce based on English cumberland, which is ideal for roast beef. 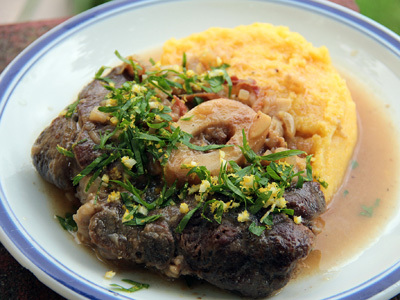 Strictly speaking, ossobuco is cooked from veal, but in our realities the beef shank is cut more often. Yes, it is sawed, it is important. 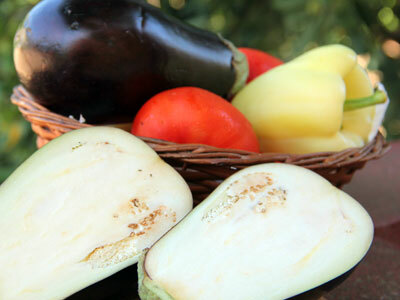 Whenever I am going to fry eggplants, I ask myself the question: salt or not salt? I don’t seem to feel the notorious eggplant bitterness, which means you can not salt it. Recently, baking has become my favorite way of preparing eggplants. At home — on a baking sheet in the oven, if possible — on an open fire See below.